If I had to choose between a cat and a dog, I would choose a dog. I cannot imagine living without a dog to accompany me, kiss me, and share a bed with me. However, I love all types of animals and have a cat as well. I do not know how my life would be without my cat and her kitties. However, if I were to choose one species to live with, I would choose a dog. Here are some reasons why dogs are better than cats. 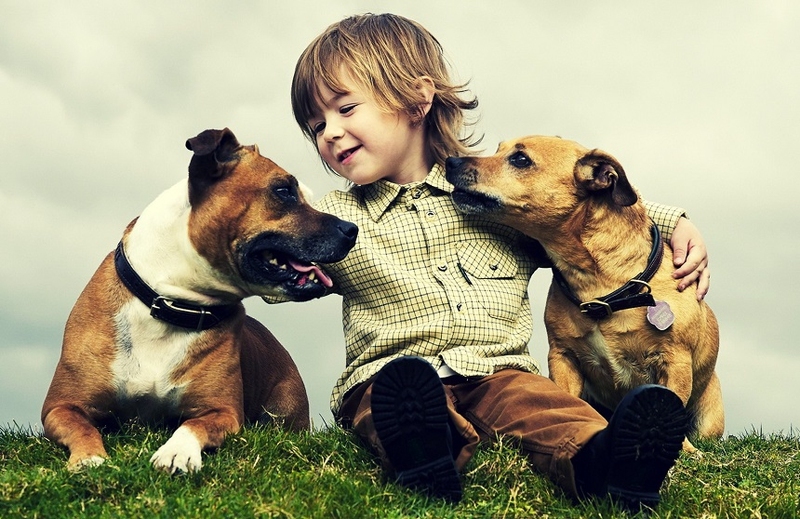 Dogs love playing with both children and adults. Cats play as well but dogs are always enthusiastic about playing indoor and outdoor games. You can play interactive games with dogs but not with cats. Many people hesitate to keep pets in their homes because of emptying and cleaning litter boxes. Fortunately, dog owners do not need to worry about litter boxes. They still have to clean the mess outside but it is easier than keeping litter boxes clean. Dogs and cats like routines. They do not like changes and uncertainties. However, it is easier for dogs to adapt to changes than it is for cats. Dogs bond with their owners and not with places. Hence, they will adjust to a new home and other changes as long as the owner is present. A dog will enjoy going on a holiday with you instead of being stressed. Cats may have an unbeatable rage when angry, but they are not protective or defensive. Cats run and hide from perceived threats. Dogs, on the other hand, step in and protect their owners from danger. Dogs defend and protect everyone they consider part of their pack. One reason why dogs are better than cats is that cats will bond with anyone who provides the things they enjoy like food. Cats can easily move in with another person if they dislike how you meet their needs. On the contrary, dogs bond and stick by their owners in good and bad times. They will not consider moving in with a new owner when displeased. So, dogs are often referred to as a man’s best friend. Walking your dog ensures that you stay active and go out every day. You may not enjoy walking when it is cold or raining, but your general health will improve in the long term. Cats’ ability to learn and obey commands is limited. But, you can easily train a dog to follow your commands and comply with your wishes. Dogs have worked with people for a long time in various ways, like doing police work, guarding and managing livestock, etc. Other roles that dogs participate in include taking care of people with special needs, guarding property, etc. One reason why dogs are better than cats is the wide variety of breeds. There are different types of small and large dogs to suit different needs and preferences of dog lovers. Cats come in hundreds of breeds as well; however, their general appearance, size, and stature look similar at a glance. Some say cats have a better sense of smell than dogs. However, dogs can sniff out different types of cancer including lung, ovarian, and prostate cancer with a 99% accuracy. Taking care of a dog is a way of relieving stress. It brings out a sense of purpose especially in older dog owners. Dog owners lead a more structured life because of the daily walks and feeding times. Dogs offer owners companionship and a reason to live after losing a loved one. It's not just man that has a hunch; dogs can also sense certain dangers beforehand. For example, a dog can alert its owner of a seizure up to 15 hours before it actually occurs. A dog can press the emergency button at home and call 911 if it suspects that the owner is about to suffer a seizure. Dogs can be trained to distinguish the smell of faeces from various animals including endangered creatures. They use their sense of smell to locate the animals, thereby helping in their conservation. Some of the animals that dogs have helped conserve include wolverines, tapirs, whales, and iguanas. Another reason why dogs are better than cats is dogs’ ability to stimulate new relationships. Walking your dog and interacting with other dog owners will help you make new friends. You can establish real and long-term friendship with other dog lovers from your daily walks. Single males with cute pooches can attract women easily if they walk their dogs regularly. Dog dust or the dry skin flakes that fall off your dog may protect you and your child from developing certain allergies and asthma. Dog dust contains bacteria that stimulate the production of immune cells in an animal’s airways. So, exposure to dogs enhances your immunity and protects you from allergic sensitization.